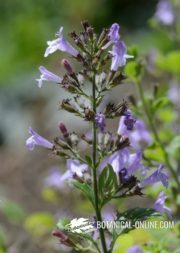 Scientific Name: Salvia hispanica L.
Habitat: It grows in clay or sandy well-drained soils, in sunny places, between 1000 and 2750 meters. It requires a tropical or subtropical climate. It does not tolerate frost. It is a plant native to tropical America, a a part of the diet of the natives, together with quinoa and amaranth cereals that, like chia, were banned by the settlers because they were part of the pagan rituals. Nowadays, chia grows as a wild plant in l tropical forests, thorn forests and also, cloud forests, forests of oak, pine and juniper forests. Chia is a herbaceous annual plant of the lamiaceae family. 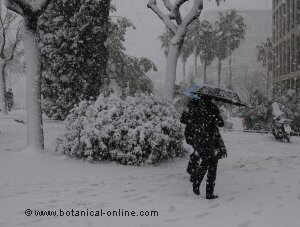 Plants belonging to this family are characterized by all parts of the plant contain highly aromatic essential oils. 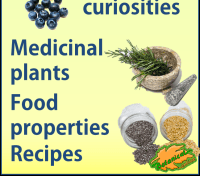 Some known spices, such as mint, thyme, sage, oregano or rosemary also belong to this family. The name os this family (Labiatae) is due to the peculiar shape of the flower-like “lips”. Chia is a shrubby plant, like most of the lamiaceae. It is between 1 meter and 1.5 meters high. The stem is squared, another common feature in many lamiaceae, ribbed and hairy. Its leaves grow opposite. They are simple, petiolate (petiole attached to the stalk), oval and serrated on the side or limb. These leaves are dark green, ranging between 4 and 8 inches long and 3 to 5 centimeters wide. The reverse is pale green and presents pubescence, that’s to say, hairy surface retaining moisture. The inflorescence is a pedicelled flower (stalked), found in groups of six or more flowers gathered on the rachis or main axis of the inflorescence. The flower is hermaphroditic and flowering occurs in July and August in the northern hemisphere. The flowers have a bilabiate calyx. The corolla is purple, blue or white, i monopetalous, composed of 5 fused petals, and also bilabiate. The lower lip is expanded outward and downward, and the top one is goes up in an arched way. 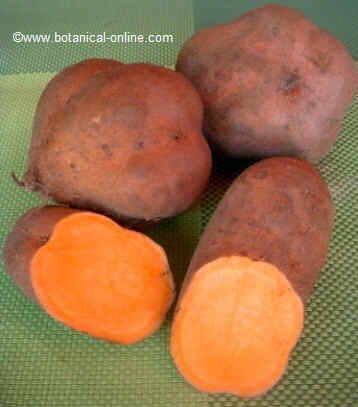 The fruit of the plant is an indehiscent achene that reserves within the seeds. Chia seeds are oval shaped and very small, approximately 1.5 mm wide x 2 mm long. Its color is variable depending on the variety, and may be plain white, brown or black, or mottled with different colors ranging from dark brown to brown, cream, gray, black and white. Chia seeds are, after flaxseed, the vegetable food richest in Omega 3. Moreover, these seeds are rich in mucilage, a soluble fiber that forms a gel when mixed with water. This fact contributes to regulate the intestinal transit. – More information about the nutritional composition of chia in the listing above. Chan (Hyptis suaveolens) : Chia is often confused with the plant Chan (Hyptis suaveolens). This plant is also known as chia fat, chani, or conivari coneguari. In antiquity, the chan merged with chia because of its apparent resemblance. Botanical studies have shown morphological differences. 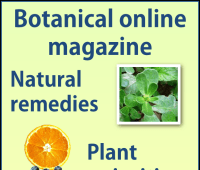 Although both belong to the same botanical family lamiaceae or Labiatae, the are two different species. 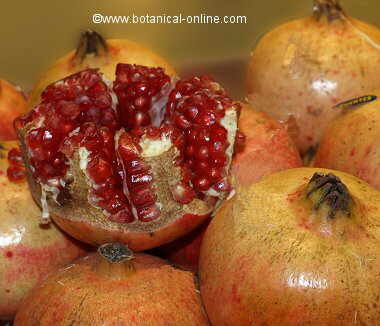 The confusion between the two plants may be due to the the oily characteristics of the seeds of both species.. 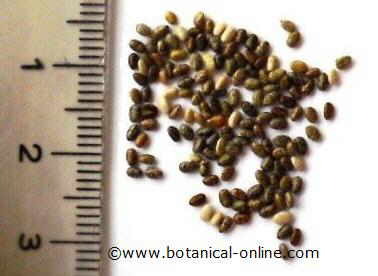 Certainly, chan produces very oilyrich seeds though, unlike chia seeds, these are rich in Omega 6, while chia mainly contains Omega 3. 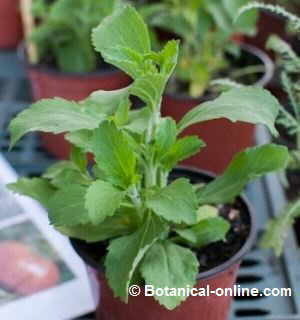 Golden chia (Salvia columbariae Benth). This is another species of chia receiving the same common name. Also called Golden chia or dessert chia It is characterized by a round shaped flower. Its seeds are similar. they are are used just as chia seeds. Salvia miltiorrhiza. Also known as red sage, Dan Shen and Shen so. Its a chia originated in China, used in traditional medicine in this country with nutritional and medicinal purposes.